enjoy the party at the same time. Per the By-Laws, the Election will be handled by Vice President John Murray with assists from other volunteers, JT Benedetto & Josh Pedersen. We plan to again utilize OpaVote for electronic voting (https://www.opavote.com/). There will be no paper ballots. Voting will start earlier that week, perhaps Wednesday (exact date still to be set). Per Quelab’s By-Laws, the Election “meeting” is mandatory for ALL Quelab members, and all members should vote for their choice(s) for Directors on the Board (even if that vote is “none of the above”). Fortunately, voting electronically counts as “attendance”. Early electronic voting simplifies things for everyone, and we encourage as many people to vote early as possible. The election team still wants to see as many Quelab members as possible at the party. Come to Quelab & have some fun with us! we will send out the official list of nominees the next day, Sunday the 10th. When voting, everyone will be asked to rank all of the candidates that they want to vote for; they can rank as many candidates as they want. Unless they are voting for no or only one candidate, the votes must be ranked. The votes will be counted using a single transferable vote system. Here are your Board of Directors’ Election Nominees! Electronic voting will start Thursday. All active members will receive their ballot via email that day. All voting will be electronic, there will be no paper ballots this year. If you do not want to vote ahead of time, you are welcome to come to the Election Meeting party this Sunday afternoon, and vote at Quelab; there will be food provided! You will need to have access to your email to get to your voting email from the OPAVOTE system to use your specific voter setup (each one is unique). A REMINDER: The Quelab by-laws state we MUST reach quorum for voter turnout, which is why we have electronic voting, encourage voting ahead of time, and ask that ALL vote in the Board of Directors’ Election. You are even free to submit a blank ballot, and NOT vote for ANYONE; that will still count towards quorum! Vote Ranking – When voting, everyone will be asked to rank all of the candidates that they want to vote for; they can rank as many candidates as they want. Unless they are voting for only one candidate, the votes must be ranked. The votes will be counted using a single transferable vote system. The Quelab Board Of Directors Election will be held on Sunday February 18, 2018. Of the seven person Board of Directors, there are four directors finishing out their two year terms, so you will be voting to elect four Directors. The election party will be held at Quelab, starting at 5:00 p.m. and running until 8:00 p.m. or later, if we don’t reach the required voter turnout (per the By-laws, a quorum of voters is required, that is, 52% turnout.) Like last year, we will be providing food, and hope to have Quelab members come out to socialize & enjoy the party. And yes, this timeframe extends into the regularly scheduled 7:00 p.m. to 10:00 p.m. Hacknight. The Election will be handled by Josh Pedersen & Celeste Nichols-Gangwere, with assists from other volunteers. We plan to again utilize OpaVote for electronic voting. There will be no paper ballots. Voting will start earlier that week, perhaps Wednesday (exact date still to be set). NOTE: Per Quelab’s By-Laws, the Election “meeting” is mandatory for all Quelab members, and all members should vote for their choice(s) for Board of Directors (even if that vote is “none of the above”). Fortunately, voting electronically counts as “attendance”. Early electronic voting simplifies things for everyone, and we encourage as many people to vote early as possible. The election team still wants to see as many Quelab members as possible at the party. Come to Quelab & have some fun with us! Quelab is a sponsor of, and will be exhibiting at, the fifth Annual Albuquerque Mini Maker Faire at the Anderson-Abruzzo Balloon Museum on Aug. 27-28, 2016. Check them out at http://www.albuquerque-minimakerfaire.com/. Part science fair, part county fair, part interactive show-and-tell, and part something entirely new, Albuquerque Mini Maker Faire is a multi-generational gathering that brings together tech enthusiasts, crafters, educators, tinkerers, hobbyists, engineers, science clubs, authors, artists, students, and commercial exhibitors. All of these “Makers” come to the Albuquerque Mini Maker Faire to show what they have made and to share what they have learned. Maker Faire features hands-on activities, learning opportunities and the chance for visitors to learn new skills such as soldering, sewing, rocket building and welding. Typical maker activities include engineering-oriented pursuits such as electronics, robotics, 3-D printing, and the use of CNC tools, as well as more traditional activities such as metalworking, woodworking, textiles and the artisanal arts. 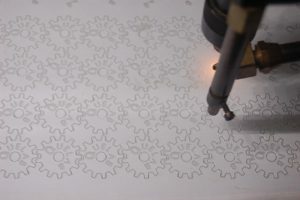 Makers take a do-it-yourself approach to standardized hobbyist and engineering technologies, and encourage the re-use and modification of designs, materials, and techniques available in the public arena. Makers focus on learning, using and teaching these practical skills. (Additionally, No Orientation this week, and while we will be there for unloading everything from Maker Faire, we probably won’t be up to a hacknight of projects). Come to Quelab for our next community meeting and potluck on Sunday, March 6! Potluck at 4 PM, meeting at 5:05 PM. All community meetings are open to members of the public. Please bring a potluck dish if you’d like to join us at 4 PM. 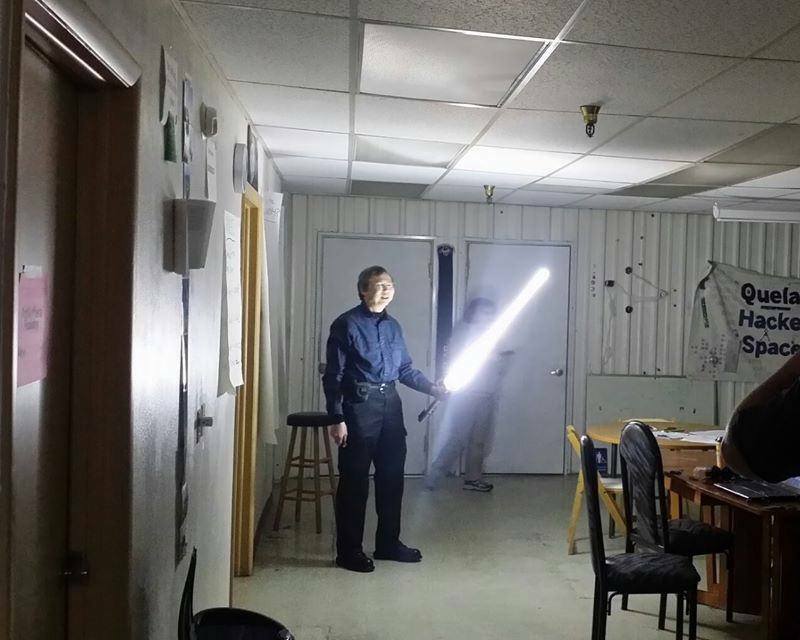 You are welcome to stay for our hack night at 7 PM as well! We hope to see you there! The agenda can be found on our wiki here. If you would like to add anything to the agenda please let an officer know. Quelab is open to the public for hacknight every Sunday and Tuesday from 7 PM to 10 PM, this is a great time to check out Quelab, have a tour of the space, and meet some of the wonderful folks in our community of makers. Locksport initial meetup on Friday, March 18, 7 PM – 9 PM. Open to any level of locksmith/pick tinkering, no experience required. 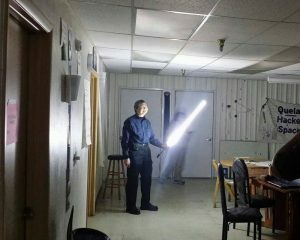 If there is enough interest a Toool locksport chapter here is a possibility. Free for members, $5 donation requested for nonmembers. Join us for Arduino Wednesday on March 9 and March 23, 6 PM. Come work on your Arduino projects at Quelab! Tabletop Game Night happens at Quelab every second and fourth Thursday, 6 PM – 10 PM. Come on down March 10 or March 24 and try a new game or bring an old favorite. New players welcome! See even more events on the Quelab calendar! Have a great March and thanks for supporting Quelab! Last night, we held our Election Party at Tractor Brewing Wells Park; we had a good turnout of Quelab members. Going into the party at 7PM we had 27 voters request electronic voting codes, which meant we needed only 27 voters to vote in person to make our quorum of 54 votes. We had 12 votes cast in-person, so a mad-dash to get 15 more electronic voters coincided with a convenient extension of the voting period to allow us to keep the polls open until 9PM and get a total of 58 voters through the system. Using OpaVote to conduct a Scottish STV count, we entered in the in-person votes and ran the tally. Twelve candidates, 49 ballots, and ten rounds of vote allocation, reallocation, and candidate elimination, the final result came down to John Benedetto (JT), Don Menning (Gönner), Charel Morris, and Craig Goldsmith (Zoot) winning seats on the Board of Directors. Quelab’s annual board election will be held on Wednesday 17 Feburary 2016, starting at 7PM at Tractor Brewing Wells Park. We will have the whole taproom to ourselves to have a celebratory end to 2015, and a welcoming of the new 2016. 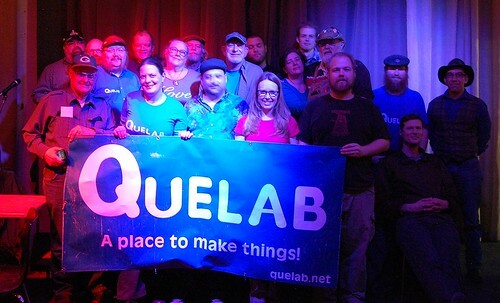 Bring a project to show off, and come join the community of Quelab in a party setting. The nominations will end this coming Wednesday, and the official slate of candidates will be announced at that time on the members list. All members paid in full (or on automatic payment) will be sent a voting guide, and all the candidates will be invited to post a quick blog entry as an introduction: keep your eyes peeled. We will have the folks from Spork The World on hand to provide food, but the taproom is welcome to any food brought in. And even though this is being held at an drinking establishment, minors are welcome with their guardians. Electronic voting will start on Monday at 8PM, and will run until Wednesday at 8PM, so on-site and electronic voting will both be closed at that time, and we will go and tabulate the results and announce the winners of the election this evening. So join us at Tractor Brewing Wells Park on Wednesday 17 February, from 7-10PM! Thanks Everyone Who turned out! Learn woodworking at Quelab’s fully-equipped wood shop! The Basic Woodworking course is designed for the average person who would like to learn how do wood working projects and learn how to use both hand and power tools. The course will expose attendees to all facets of wood working and include planning, preparing and finishing projects. Attendees will design and build a project of their own selection. Darrel Knutson, John “JT” Benedetto, and Gönner will be facilitating an Eight-Week Introductory Woodworking course on Mondays, 6 PM – 8 PM. All the sessions for the course will be held in both the Core and MASTS Wood section. The class will be $100 for the whole 8 week course, and members get a 60% discount ($40 for the entire run)This course is limited to adults 18+. We will be looking to offer a future Basic Woodworking course open to ages 14 and over accompanied by a parent/guardian, so keep an eye out!